IRELAND HAS A problem with obesity. That’s the consensus from the World Health Organisation, among others. They say that, on current trends, 89% of Irish men will be overweight by 2030, and nearly half obese. Public health interventions are certainly required, but a group of doctors say that if the government and HSE treated obesity as a disease of the brain, and offered expanded access to surgical treatments, then it could save the exchequer millions and help to alleviate the problems associated with it in Ireland. John Conneely is a consultant surgeon at the Mater Private Hospital in Dublin. He told TheJournal.ie that it’s a “no-brainer” to offer surgery as an effective means of treating someone with obesity over a certain weight. The Irish Society for Clinical Nutrition and Metabolism agrees and says that, by doing a minimum of 400 operations per year on patients with obesity and difficult-to-control diabetes, it would have saved the State €56 million over 10 years from a reduction in the costs associated with treating people with diabetes, and other obesity-related illnesses, over a long period. Dr Helen Heneghan, alongside Conneely, are two of only six consultants in the country that offer this surgery. Having held a similar role at an NHS trust in Liverpool, she was recently selected to fill a specialist role in this field at St Vincent’s Hospital. She told TheJournal.ie: “We do not have a national obesity programme in place at the moment… In Ireland, we do around one of these surgeries per 100,000 people per year. In the UK, its 20 in every 100,000. The US do 44. And Scandinavian countries do 78. Our need is as great as theirs is. In 2005, specialist treatments were recommended then, but nothing happened. In 10 years, there’s a potential saving of €56 million if you take into account the cost of a diabetic regime which can be in excess of €4,000 per year. If we could have intervened earlier, and put diabetes into remission, we could have saved the cost of medications over that length of time, and more. Doctors say that offering obesity surgery is the most successful and cost-effective option for the treatment of severe obesity and point to evidence that says 90% of patients who seek the procedure achieve more than 10% weight loss. Research from Swedish researchers also suggests that patients with type-2 diabetes who undergo obesity surgery can achieve remission from their disease. And research conducted in Ireland last year suggested that only around 0.01% of the patients who would benefit from obesity, or bariatric, surgery in Ireland have access to it. If such surgery is so beneficial, and the number of people overweight in Ireland continues to rise, why is it not yet seen as a viable option? Conneely said that, in Ireland, we don’t deal with issues around obesity in the best manner. “It’s impossible not to be aware of obesity as a health issue these days,” he said. “We’re just not as active as we used to be. And we live in an era of enriched foods that are available 24/7. But we don’t deal with it terribly well here. The notion you would perform surgery on overweight people is anathema. This is not a cosmetic thing, though. This is to arrest, or reverse, debilitating conditions associated with chronic excess weight. This is the last acceptable form of discrimination left in society. People consider this a lifestyle choice. We fully believe, and we want to get across, that this is a disease. It is a disease of the brain and the way the gut talks to the brain. She added that treatment for other chronic diseases is standard across the board and that there’s no reason why obesity should be considered differently. 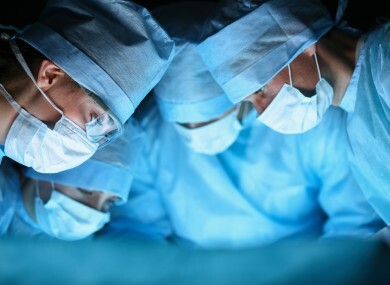 On the treatment itself, Conneely said that the weight loss surgery programme on offer has been shown to cut a patient’s excess body weight in half within a year of the treatment. The gold standard surgery comes in two forms – a gastric bypass or gastresctomy – and both are minimally invasive. It is intended for patients with a BMI index of over 40 kg/m2, or for patients with underlying conditions such as type-2 diabetes with a BMI of over 35kg/m2. For someone who is 6 foot tall, the 40kg/m2 BMI would equate to a body weight of 134kg, or 21 stone. The equivalent for someone who is 5’5″ would be 109kg, or 17 stone 2 pounds. Conneely explained: “It’s laparoscopic – or keyhole – surgery and patients will typically be discharged and back on their feet after only a couple of days. The two forms of procedure are now favoured over gastric band surgery, which both doctors agreed is not as successful in the long-term. “Surgery is the form of treatment that works most successfully,” Conneely said. “Most people who get this surgery will have already tried dieting, or fat-lowering and appetite-modifying medication. The truth is we don’t provide a service in any effective way for this. This is a major medical condition for which there is incredibly effective surgery. Rachel* (not her real name) is a young woman who had been overweight since she was a child. Treatments from her GP, working with a personal trainer and strictly following diets had not helped her to lose weight, and she felt it held her back from doing things she wanted to, to a certain extent. Her GP had attended a seminar where Conneely gave a talk and, from there, made contact to explore the possibility of undergoing bariatric surgery. “My family could see that no matter what happened, I gained weight,” she said. “I needed to do something for the good of my health”. After meetings with a doctor, dietitian and a psychiatrist, Rachel was deemed suitable for treatment and the gastric sleeve (gastrectomy) was performed at the beginning of this year. The immediate aftermath of the surgery was painful, but it soon paved the way for a dramatic weight loss. “It’s major abdominal surgery,” she said. “The only day I regretted getting it done was the second day, because I was in a lot of pain. I got excellent treatment from the staff who helped me along. It was amazing how quick the effect took place. I’ve lost three stone in just a couple of months, and that’s weight that will stay off. Since the surgery, Rachel feels her quality of life has greatly improved. “My energy levels have shot up, and I have the drive to go out there and do things I was unwilling to do before,” she said. Being overweight is taboo in Ireland. There’s a stigma attached to it. But I’ve gotten this surgery and it’s going to help me so much in the long-term. It’s not an easy way out. You still have to work hard at it by eating well and doing exercise. Heneghan added that securing funding for these surgeries is an ongoing issue that has persisted for years. While additional funding has been forthcoming in recent years, a great deal more will be required to be able to offer these surgeries on a national basis. A national obesity programme is essential, said the doctors, with personalised treatment a prerequisite going forward. With the next generation of Irish people having a potentially lower life expectancy than their parents, in part due to the associated problems around obesity, its future cost to the state should be an urgent priority according to these doctors. Conneely added: “We’re building a good system here. What little services are available are of high quality. We just need a lot more of it. And we need it now before it’s too late. Email “'It's not an easy way out': Is surgery the way to help solve Ireland's obesity crisis?”. Feedback on “'It's not an easy way out': Is surgery the way to help solve Ireland's obesity crisis?”.